Lovely brush Pat, what's the height? Nivea aftershave sensitive balsem and protect and care balsem. 1 + 1 free, so 50% discount of the total price (they gave a different price). De Vergulde Hand shaving soap, new package. It has temporarely 20% more soap. Thanks Michael, the overall height is 113mm. I got this bottle of Houbigant Yama "cologne" yesterday. I took a chance and purchased it on eBay because the seller accepted my low-ball offer for it. However, all the other Yama colognes listed there have orange and black caps, while this one has a white and black cap like the aftershave ("Men's Lotion") that I already had. I can't discern any difference in fragrance strength between the new bottle and the Lotion one, just sniffing them. So I guess I'll have to try it as both an aftershave and a post-shower cologne to see what it really is. Will all be used soon. 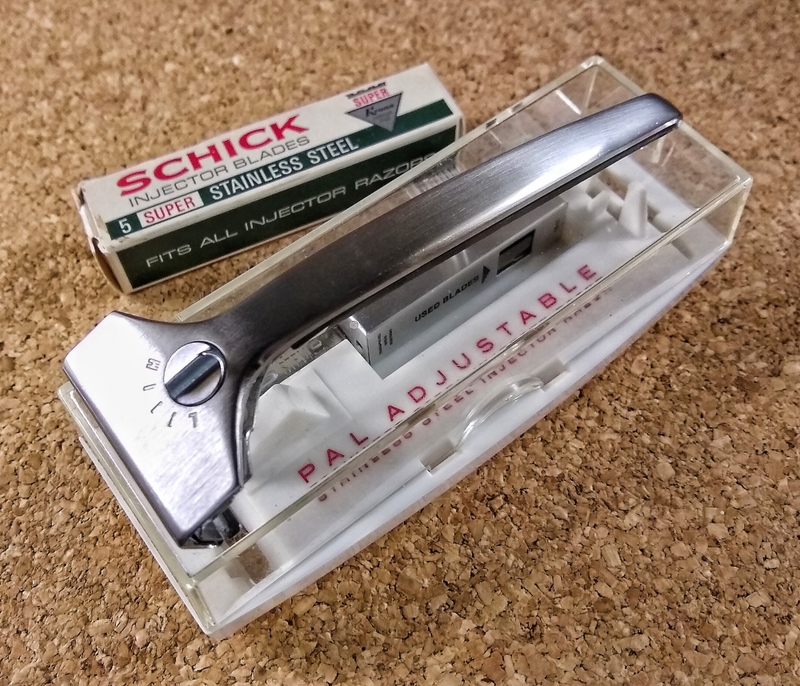 RazoRock Hawk V2 and Schick Proline bladed. 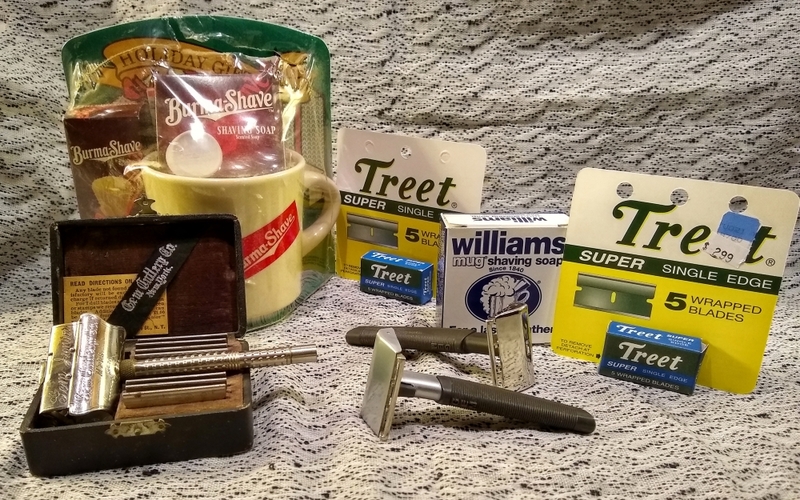 Looking forward to trying SE shaving. 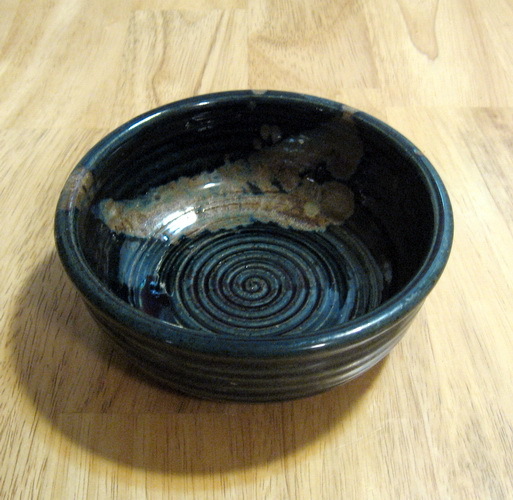 I received a lathering bowl by Sara Bonnyman today from an eBay seller. 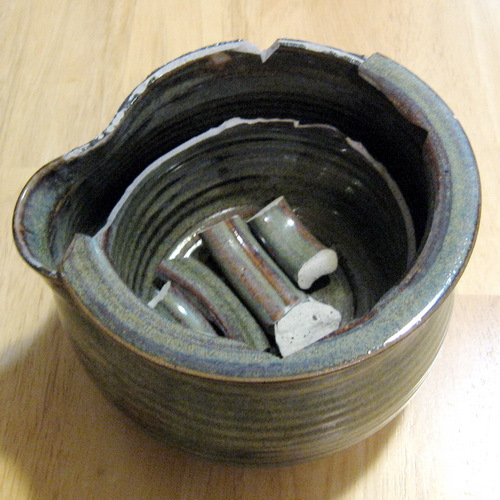 I seem to be having a run of very poor packing by sellers. It is a slippery slope my latest delivery. a thing of great beauty ! I've loved the styling of this razor for a long time. After a cheeky comment on a thread, I'm now the proud owner of this Pal adjustable, thanks to the very generous Mike B aka @mpf9ret . 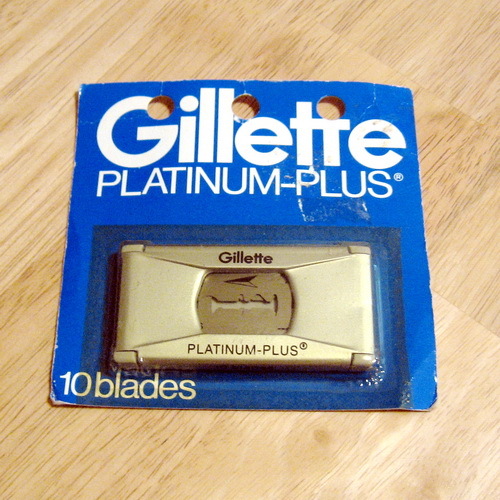 He even included a pack of NOS Schick Super Stainless blades in the deal. That is just so waiting to be shaved with. It'll just have to wait till after the 1912 patent anniversary on the 27th January. Karve B plate 3.25 handle. Excellent razor already 4 shaves and its amazing shaver. The postman delivered a grooming set that looks a bit like this. The soap stick seems to still have it's smell, a pleasant mild floral scent. I'm not sure what the razor is though. I presume it's a Wardonia razor? It fits standard DE blades and it's difficult to see in the last picture but it has the writing 'Made in England' and '6' on the under side of the bottom plate. 1. La Toja Stick [ Budget Pack ] Intend to grate some into bowl to form a cake/ puck. 2. PAA Starling SE-Gem. With standard bar& Open comb plates. I reckon I will use an alternative heavy handle. Hi all ive just received my package from Agent Shave i bought two shaving soaps Phoenix & Beau Spitfire smells amazing and Wickham 1912 christmas spice smells fantasic too carnt wait to try them both out,great packaging and fantasic service from agent shave and got a free sample + sweets very nice touch. I also bought from tesco wilkinson sword de razor in chrome butterfly opening for £12 had to buy for that price looking forward to the weekend when i will try out the razor and soaps.